The leatherleaf fern is an evergreen plant that grows outdoors in warm climates or indoors as a houseplant. 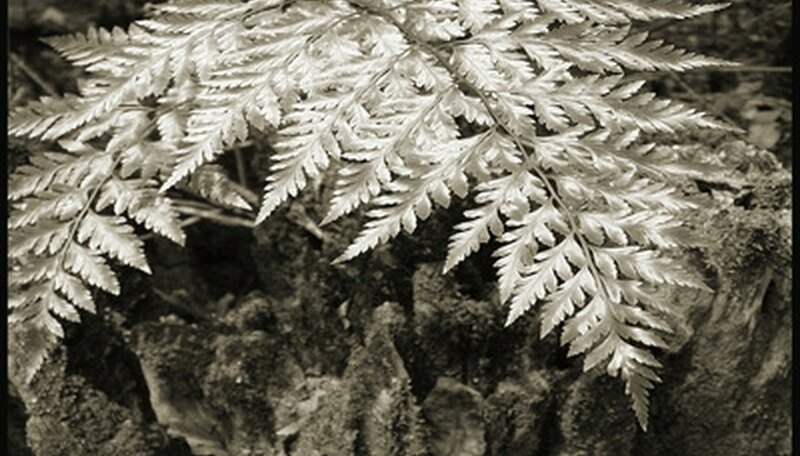 Leatherleaf fern is native to South Africa and thrives in a warm, humid environment. The fern maintains its attractive deep green color when given proper nutrition and moisture during the spring and summer growing months. The leatherleaf fern is an upright growing plant that reaches a height up to 3 feet and spread up to 4 feet. The plant has dark green, glossy colored leaves with a course texture. The leaves are long and can reach a length up to 3 feet with a pyramidal shape. Leatherleaf ferns are an evergreen plant that does not produce flowers. Leatherleaf ferns are commonly grown as a houseplant as the fern is only hardy outdoors in USDA growing zone 11 where the temperature stays above 25 degrees Fahrenheit. The fern requires a well draining potting soil in a container that is slightly wider than the root ball and indirect sunlight. Leatherleaf ferns planted outdoors require a sandy or clay loam soil that has an acidic pH of 5.5 to 6.5 and shaded sunlight. Leatherleaf ferns grown indoors and outdoors require a soil that remains evenly moist throughout the hot summer months. Water applied to the fern should always be warm to prevent shock. The fern should be fertilized with half strength water soluble fertilizer every two weeks during the spring and summer months as this is the prime growing time. The leatherleaf fern is propagated to produce new plants by dividing the root ball in spring. Divided plants should be potted in a container that is slightly wider than the root ball with a high quality potting soil. Leatherleaf ferns can be propagated by collecting ripe spores and placing them in a paper envelope to dry. The seeds are sown on a brick covered with 1/4 inch of moist peat moss in a plastic container filled with 2 inches of distilled water. Seeds are sprinkled onto the peat moss and the entire container is covered with clear plastic to create a greenhouse environment. Leatherleaf ferns are susceptible to mealy bugs and scale infestations. Mealy bugs are small insects that are white and waxy in appearance with waxy filaments that extend from the body. Scales are insects that have a shell covering over the body and are able to fly short distances. Plants that are infested with either insect should be isolated for several weeks to prevent the insects from spreading to other plants. Small amounts of insects can be manually removed from the plant or sprayed with insecticide. Plants that are heavily infested should be discarded.